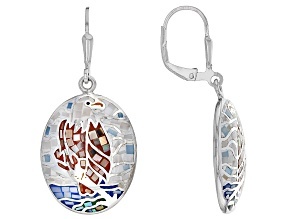 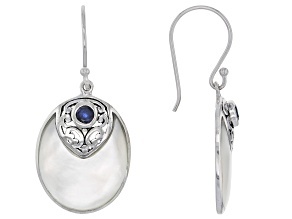 white mother of pearl and sapphire rhodium over sterling silver earrings. 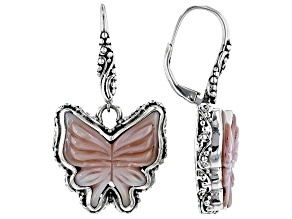 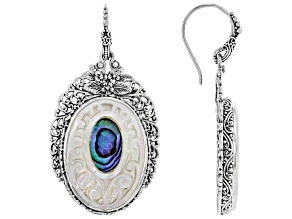 Explore beautiful mother of pearl earrings from JTV and find your new favorite everyday pair. 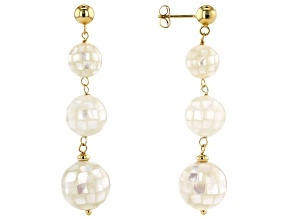 Mother of pearl earrings are perfect for work, casual days of running errands and even for dressy date nights and other fun events. 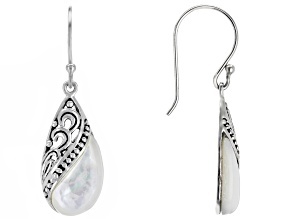 The soft sheen of mother of pearl will attract attention to your drop earrings, studs, chandelier styles and more. 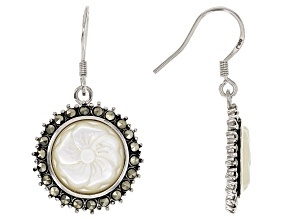 Often paired with sterling silver, mother of pearl is the perfect choice for everyday earrings that are simple to wear with anything. 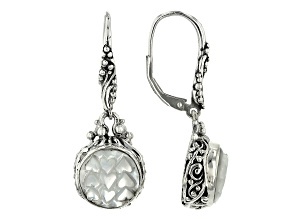 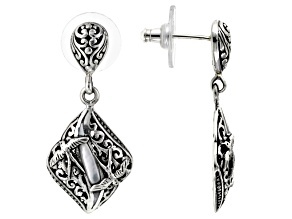 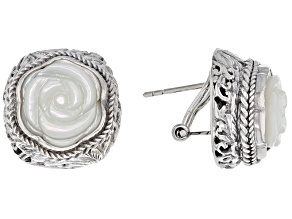 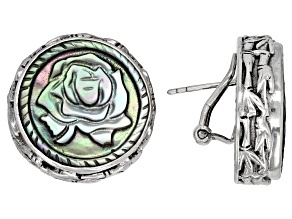 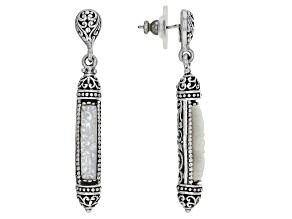 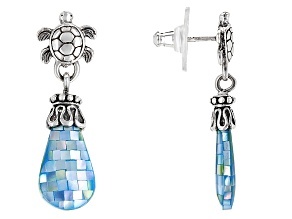 From jeans and tee to smart suits, mother of pearl earrings are versatile accessories. 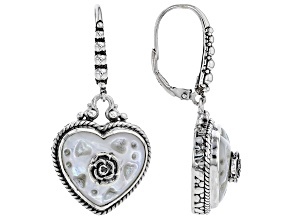 The luster of mother of pearl drop earrings will catch the light as they dangle, attracting the eye to your lovely accessories. 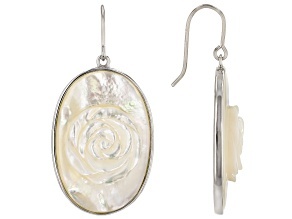 Shop mother of pearl earrings for the perfect presents for Mother's Day, birthdays, anniversaries and graduations. 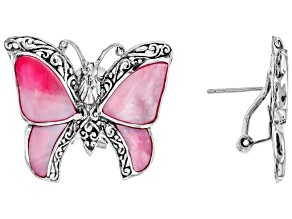 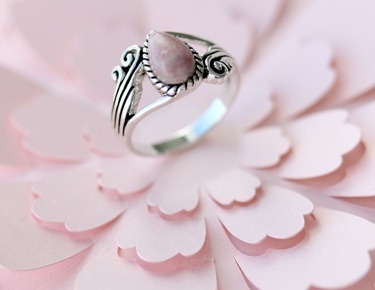 No matter the occasion these sweet pieces will help you celebrate your loved ones and their successes. 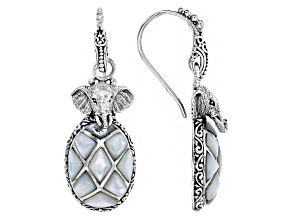 And at JTV's affordable prices, you can pick up some pretty mother of pearl jewelry for yourself at the same time. 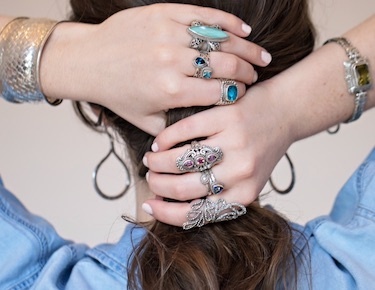 Discover stunning mother of pearl necklaces, rings and bracelets and fill out your jewelry collection with these timeless styles. 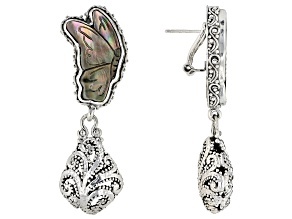 JTV offers a wide selection of mother of pearl earrings as well as other gems like opals, moonstones and of course pearls. 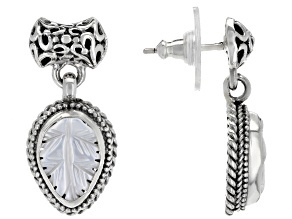 Find the right jewelry sets for formal events as well as pieces for casual wear. 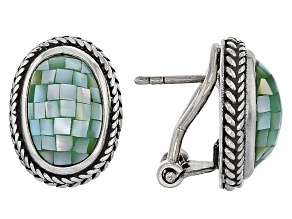 Never be caught unprepared for a birthday or holiday: stock up on simple yet elegant pieces everyone will love. 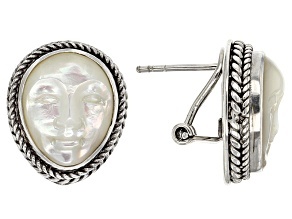 JTV is dedicated to offering quality jewelry for less, from mother of pearl earrings to diamond rings and beyond.